I don't know how to start this article. I am very familiar and use to this kind of lifestyle. My parents were farmers and I grew up in the tea farm village. Picking tea was my job when I was a elementary and junior high student where as Americans kids delivered news papers to make their allowances. Tea business supported many families including my family and improved their lifestyles. 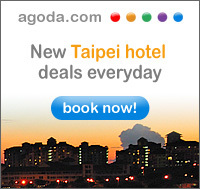 As time went by, Taiwan became more westernized. There are more young people now drinking coffee rather than traditional tea. Also international competition has suppressed the Taiwan tea market because low cost Vietnamese tea and Chinese tea are imported to the marketplace. Spring tea and winter are the best tasting tea. This is spring tea. per stem because the new leaves makes better quality tasting tea. 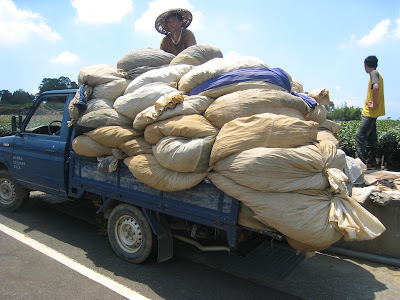 How to compete with the low cost tea from China and Vietnam is one of the major issues for the tea farmers today; however, Taiwan has skillful and professional masters who carry on their old masters' skills and combine their own experiences to make excellent quality tasting tea. who are more than 60 years old. They spent most of their time in the tea farms. offered free lunch and drink for these workers. to collect her lunch box and then delivered it to them in the field. Emptying their baskets after weighting. Economic competition has changed agricultural patterns. Hiring these female workers to pick tea is too costly, so sometimes tea farmers will have someones to cut tea leaves by machine. It will save time and money but the quality of tea won't be as good as the hand picked tea. Because the machine cut tea leaf stems will be too long, too short, or broken tea leaves, the quality will be effected by these reasons. On the other hand, it offers an affordable price for some consumers who cannot afford to pay for high quality hand picked tea. machine. They are still responsible for supporting their families. machine picked only take 2-3 hours to finish this entire field. The tea farmer only employed three people for cutting the tea. 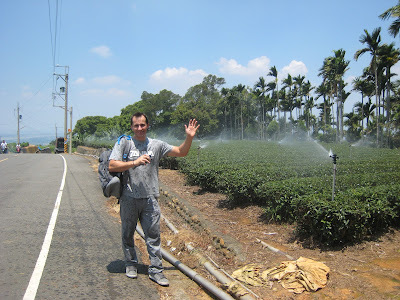 This picture was taken by Jeff who was the owner of a tea farm a couple of years ago. These tea leaves were ready to be sent to the factory for processing. 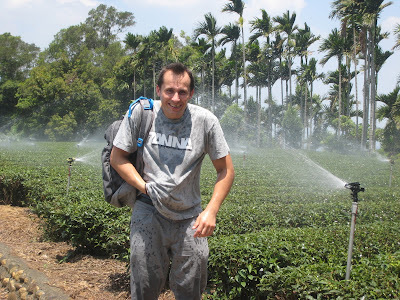 This picture was taken by Jeff, the tea farm owner. enjoyed experiencing his day at the tea farm. This picture was taken by Jeff. It was nice to get wet in the hot weather. I really enjoyed reading your blog. Your experiences growing up in a multigenerational tea farming family are worth sharing. I hope you will write more about them. I also hope that the tradition of hand picking tea continues. There are plenty of places that sacrifice quality for quantity. Be the pinnacle of tea production. The market is large enough world wide, and if the rising number of educational sources for tea is any indication, the demand for hand picked tea is going to increase. Make a webside for the tea and sell it online. Then the farm can make the money directly as well as marketing. Direct sales may result in more pickers being able to go back to work and support their families. While our socities grow and change, we do not have to abandon what is good for whatever new item comes around. Is it possible to go there by myself? I am really interested in it. Can you provide more information on contacts? Yes, you can go there by yourself with your own transportation. You can take the public transportation but it will be very difficult for a foreigner to learn how the public transportation work. The easy way is by train: You can take train to Tianzhong Station and then take taxi to Songpoling. When Beautiful Bay Is No Longer Beautiful!